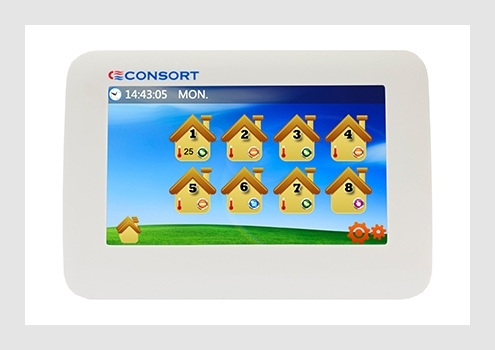 The MRX1 Multizone wireless controller is a central control unit that can separately control up to 8 heating zones using the existing CRXSL controllers. 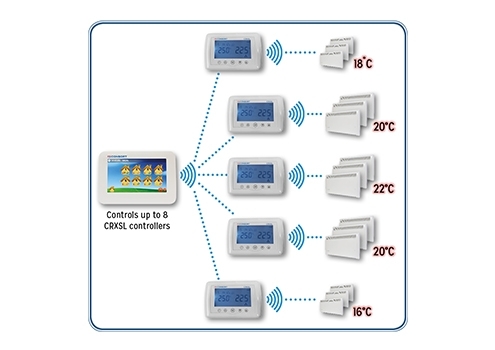 Each CRXSL can control multiple Consort RX and/or SL heaters in the same room or zone. The MRX1 controller has a large touchscreen LCD colour display. A 7-day programme with 6 time periods per day can be set separately for each zone and if required, be duplicated across other zones. Temperature adjustments for all zones can also be done simultaneously. * Half heat feature does not apply to 0.5kW and 0.8kW heaters. Learn more about RX Wireless Control Heating System.